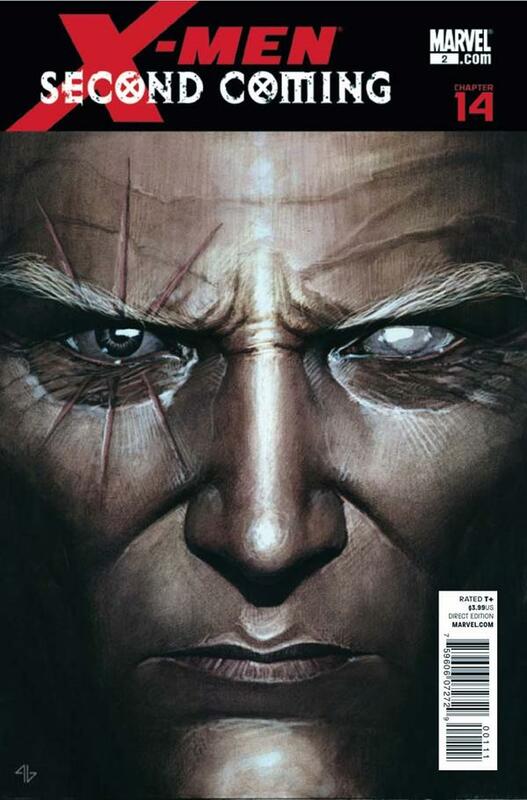 X-Men: Second Coming #2 is split into four chapters by each of the creative teams behind the X-titles. Some of the pairings have been switched up as Craig Kyle and Chris Yost work with Greg Land, and Mike Carey’s story is drawn by Esad Ribic. Ribic was added to the artistic line up as Mike Choi and Sonia Oback take a break after their amazing work on Chapter 13. While they are certainly missed, the book is top notch and everyone delivers some of their best work on each page. The stories serve as amazing tributes to the major characters that have sacrificed and lost their lives defending Hope. It was a little disappointing that Ariel and The Vanisher weren’t mentioned; although I’m not entirely convinced Vanisher is gone for good. We also don’t see a lot of the New Mutants and the conclusion to Hellbound is not referenced either. Zeb Wells and Ibraim Roberson instead focus on the immediate aftermath of Hope’s battle with Bastion and taking stock of the wounded. Wells’ next story arc in the New Mutants title has direct connections to Limbo, so we may get a lot of that story in their series. One of my favorite parts of the book involved some intriguing interactions between Hope and Magneto that really speaks to the strength of upcoming story possibilities. A lot of the ground work is laid for the new directions the X-titles will be taking after Second Coming. 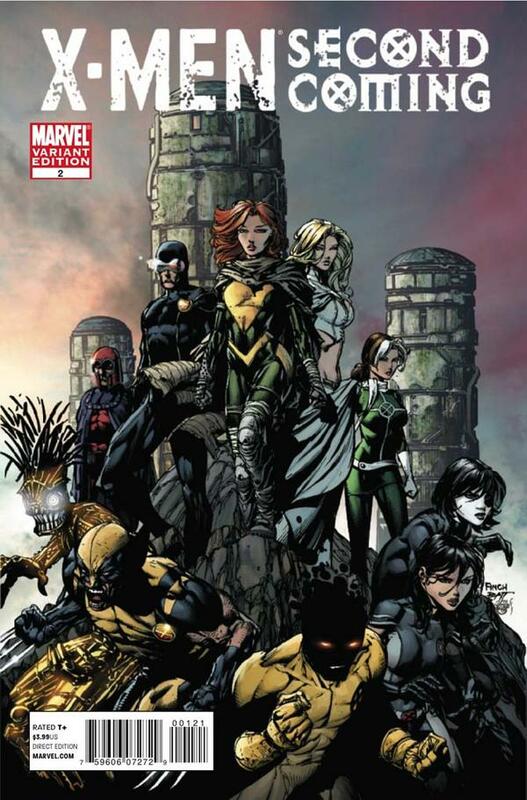 In Kyle and Yost’s story we see the first appearance of Wolverine’s new X-Force, which will continue in their own title in October’s Uncanny X-Force #1. The story features some fantastic interaction between Wolverine and Storm, the likes of which hasn’t been seen in years (if not decades). Land’s artwork is solid here and serves the story well. Matt Fraction and Terry Dodson’s story reveals that Hope’s return has proven that Cyclops may have been right about how important she is as Cerebra detects new mutant signatures for the first time since her birth. Hope’s connection to the Phoenix is also teased and this all leads directly into The Five Lights beginning in Uncanny X-Men #526. I’d be remiss if I didn’t comment on the cover artwork from Adi Granov and David Finch. 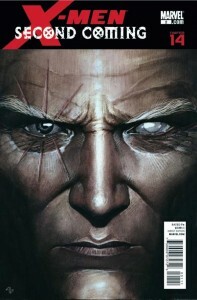 Given the huge part Cable has played in the series, I love the somber grittiness of the Granov image. It’s incredibly powerful and subtle at the same time. Finch’s image of the major players left standing on the shores of Utopia is a powerful image in its own right. The eclectic group of characters shown suggests that all of them will have a part to play going forward. I’m truly going to miss Cable. 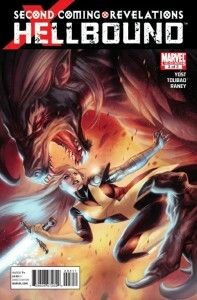 The character has been brilliantly handled since returning to the X-Men fold in Mike Carey’s Supenovas arc years ago. This was a fitting end for him and was clearly part of the plan since bringing him back to the team. Carey and Ribic’s tribute to Cable in Chapter 14 is just about perfect to me, and again brings home just how strong a character Hope is as she eulogizes him. There are so many stories to tell going forward and even after reading about these characters for 25 years, I can’t wait to see what comes next. I’ve previously mentioned my surprise with how much I’ve enjoyed reading this series. Through the final issue, I continued to be impressed with how Chris Yost handled his choice of characters. Gambit’s transformation into Death at the hands of Apocalypse goes all the way back to Peter Milligan’s run on X-Men and Yost brings it back to the surface brilliantly. Even the demons of Limbo fear what Gambit has become and it’s suggested he may have stirred something dark within Dazzler and Northstar. Cannonball rises to the occasion and his struggle to save his team and Illyana is beautifully drawn by Harvey Tolibao and Tom Raney. The book makes great references to past stories and lays the groundwork for new ones. It really is a great utilization of an ancillary miniseries within a major crossover.